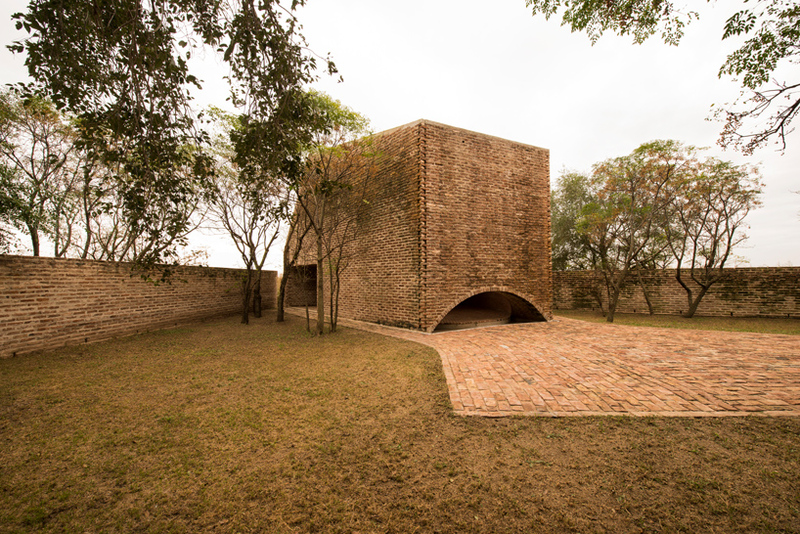 among argentina’s pampas lowlands east of cordoba, architect nicolás campodonico’s san bernardo chapel rises from a small wooded grove. 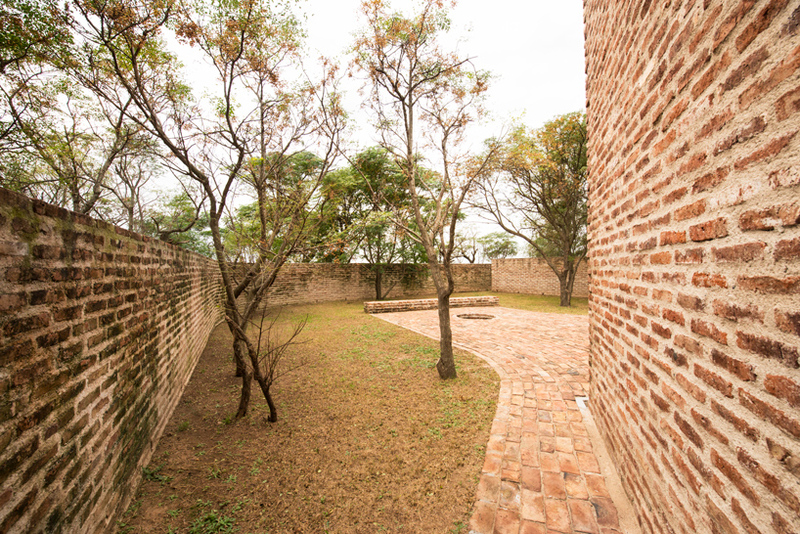 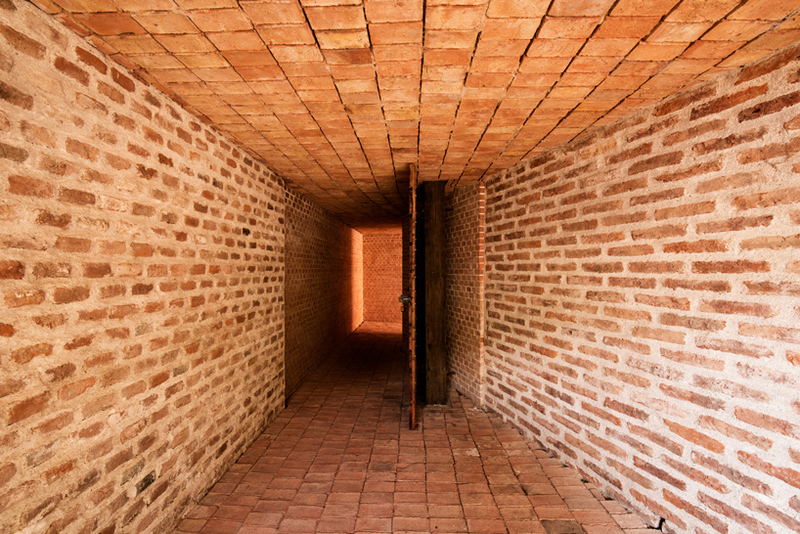 the land had originally been occupied by a century-old rural home and its courtyard which had been dismantled for the reuse of their materials, especially the one hundred year-old bricks. 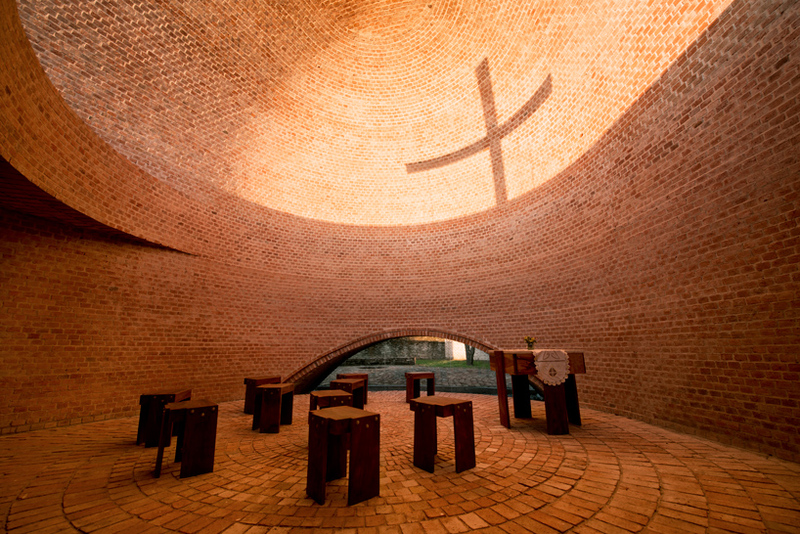 the new chapel — named for saint bernard, patron saint of the region — is constructed entirely from the brickwork obtained from these previous constructions. 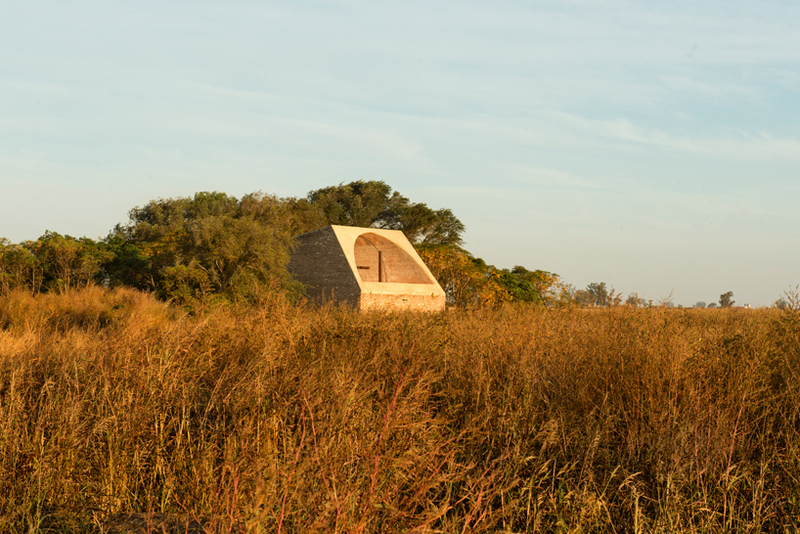 as the site offers no electricity or other utilities, nature imposes its own conditions. 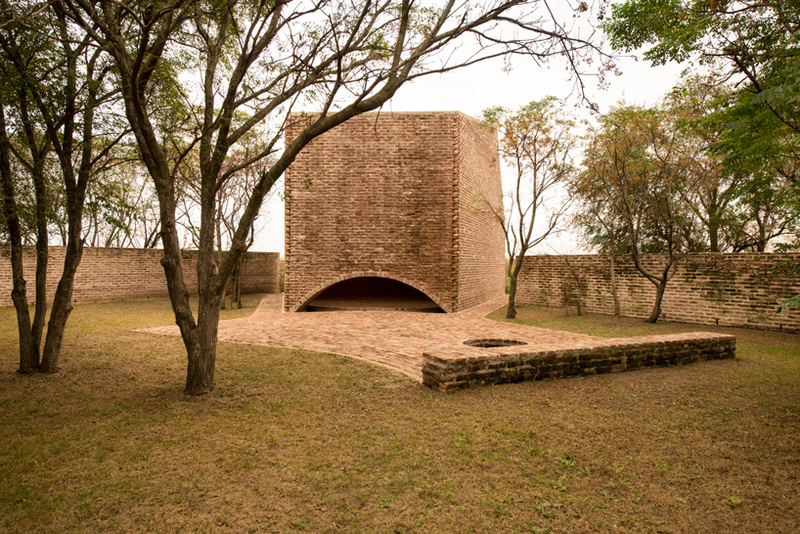 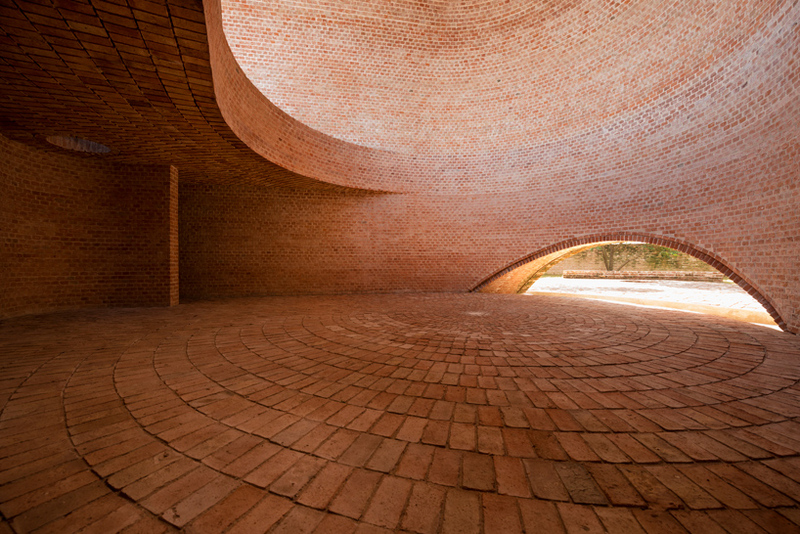 nicolás campodonico’s san bernardo chapel is sited at the edge of the grove, overlooking the vast countryside. 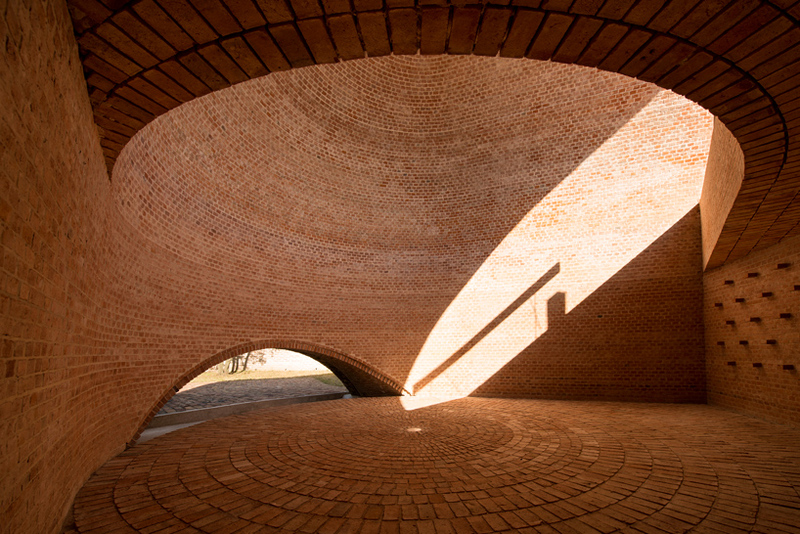 it is oriented toward the sunset, flooding the interior with low afternoon sunlight. 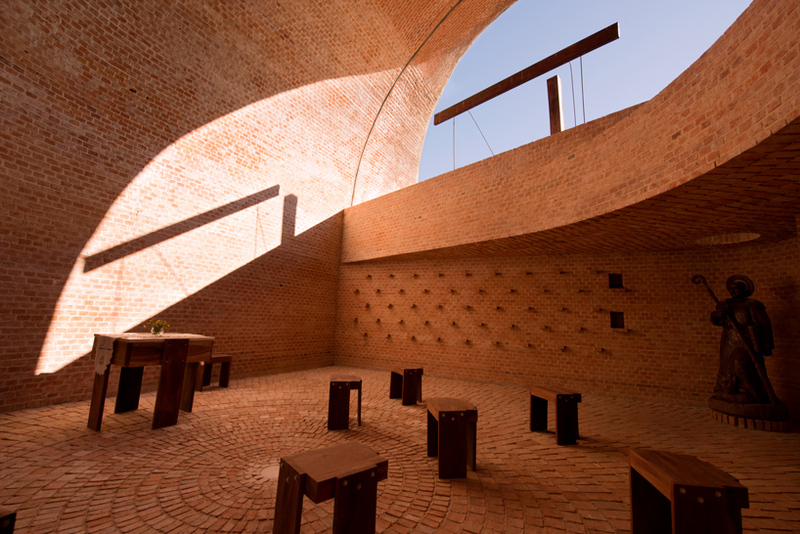 a large opening in the chapel holds two perpendicular beams, independently suspended. 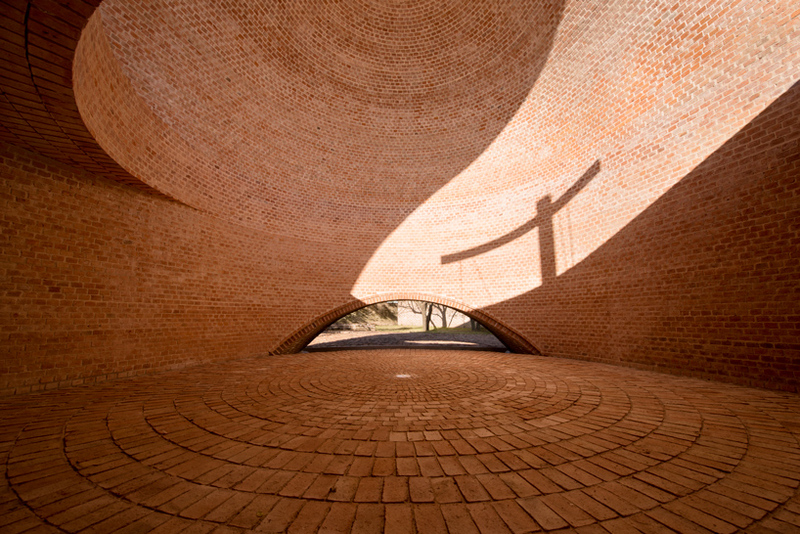 the shadows of these beams are projected onto the chapel’s interior wall so that throughout the year these two shadows glide toward each other, ultimately overlapping to form a cross. 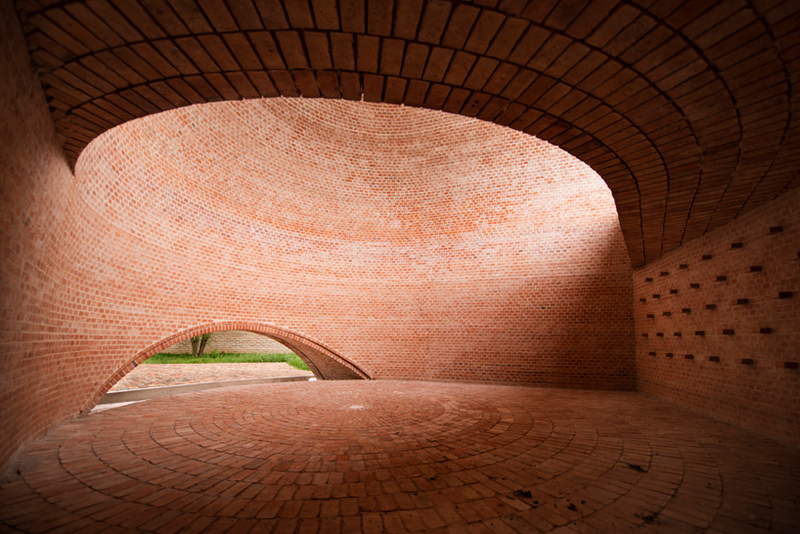 collaborators: martin lavayén, soledad cugno, virginia theilig, gabriel stivala, tomás balparda, pablo taberna, gastón kibysz.